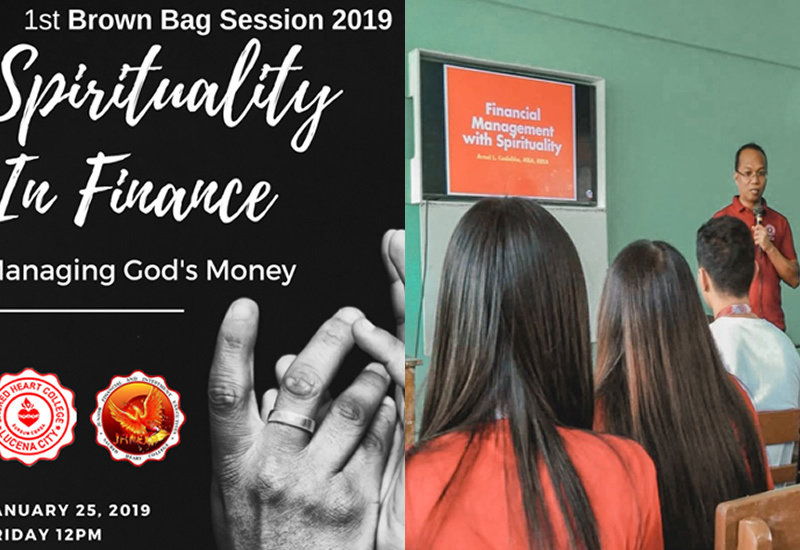 The first Brown Bag Session for this year was held last January 25, 2019, 1:00 pm at the B floor HED Building Sacred Heart College, Lucena City. 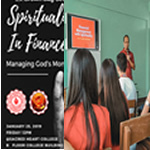 The talk was entitled "Spirituality in Finance, Managing God’s Money", prepared by the Junior JFINEX Officers and attended by first year student participants from Business Administration, Accountancy and Computer Science of Sacred Heart College. 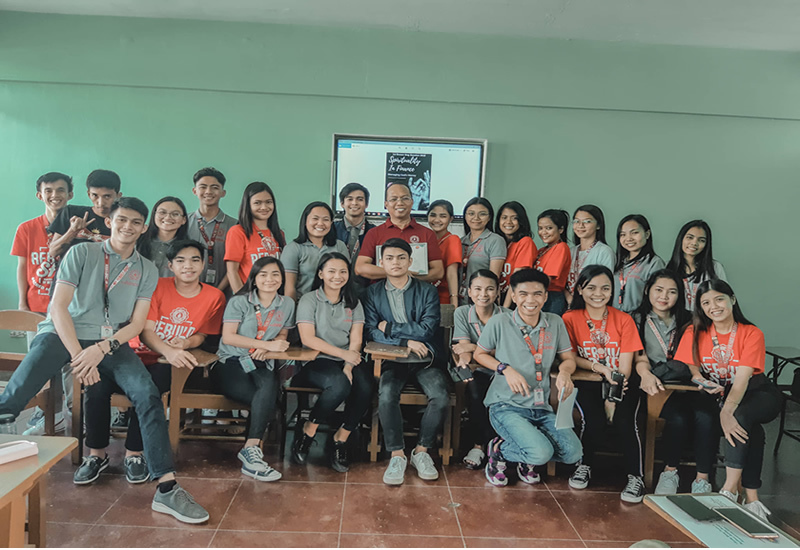 The speaker, Mr. Arnel L. Cadeliña, MBA,RREA, college dean and moderator of JFINEX , promoted discussion among the student participants and gave an enlightening and fruitful talk on how to be a financial literate yet righteous and spiritual person at the same time. The event started by a lively welcoming introduction of Mr. Ivan Johnly Zoleta (JFINEX VP for Human Resources), followed the opening remarks of Ms. Khristine Paula Carmona (JFINEX President) for the student participants. Mr. Arnel L. Cadeliña started his discussion by introducing the current mindset of some people who are earning without considering morality. He stated that- many people has a principle that being greed is good, and believed that finance is only money without spirituality. 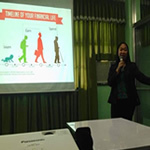 According to him, people is working to, (1)earn money, (2)improve shareholder's equity, (3)and to maximize profit. First he said that "people earn money but we need to balance our own Christianity on earnings. Second, "you are working to improve shareholder's profit", that our role is for the company to gain profit, not for us to earn. If the company earns, that is when we can be compensated by them for the service we rendered. Third, is to maximize profit, he said that legal is different from being moral, "we can earn, but not too much", that earning beyond moral is not right. Money is important to people, it is important to God only if we gave it back to him by means of helping those in need. God owns the money, he shared three stages towards acceptance that God owns our money. First we have to understand that God owns it all, our time, talents and skills. Second, we are only money's stewards, that we doesn't own whatever money we have. Lastly, contentment comes "If we believe that God owns it all, and we are stewards, contentment will come in, then happiness", he further added. 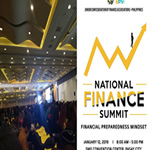 He then shared five financial management practices with spirituality: Spend less than what you earn, avoid the use of debt, maintain liquidity, save for the long term and give generously. His discussion ended by answering some of the questions of students regarding wise investments. The session ended and finished by the awarding of the certificate of appreciation to Mr. Arnel L. Cadeliña for his efforts and meaningful talk.